I have been thinking a lot about what people with different backgrounds, resources, and opportunities can achieve in life. Perhaps I was affected by the British documentary series I’ve been watching “7 Up,” “14 Up,” “21 Up,” etc. that tracks a group of kids and their different paths every 7 years into adulthood. 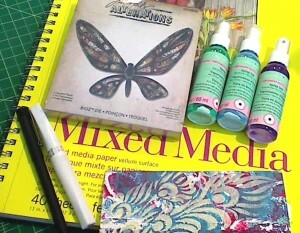 I sprayed the paper initially with three Recollections shimmer mists in blue, purple and green. Then I used the die to cut out lots of wing segments from black cardstock and some fabulous background papers that were made and gifted to me by my friend Rosa (YT: ColorXplosion by Rosa). All the unique patterns on the papers really helped bring life to the butterflies, moths, and other flying insects. 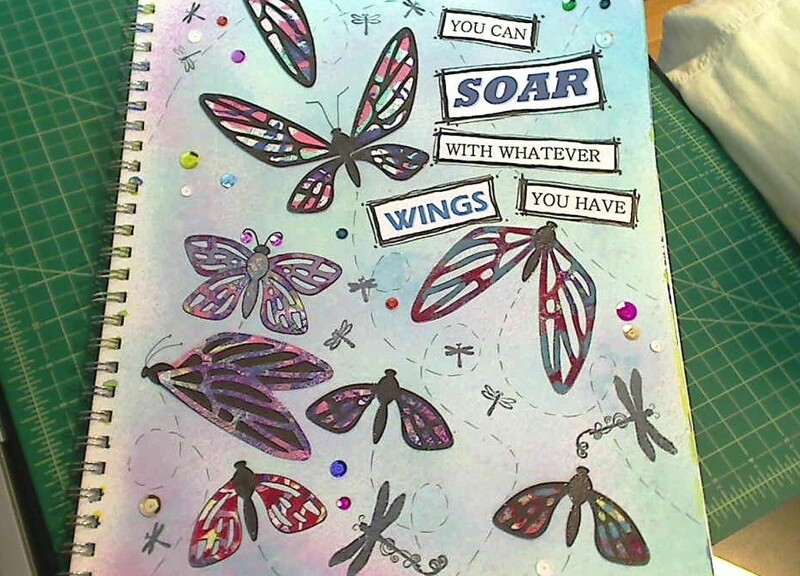 I also used a Fiskars stamp set called “Butterfly Magic” to stamp small and medium sized dragonflies to add to the feeling of a flurry of wings that I wanted to create. 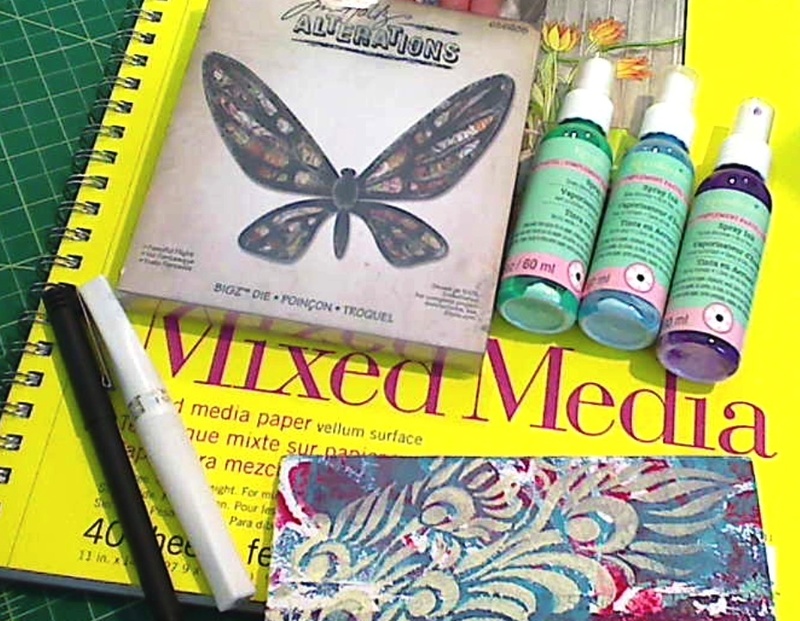 This art journal page is also being entered into the Raisinboat Summertime Challenge. Wow I can not believe all of those amazing bugs you came up with from one die. Great thinking! You are so right. A positive attitude makes all the difference in achievement. TFS and joining the Raisin Boat challenge.